If you don’t think you like Brussels Sprouts, think again. 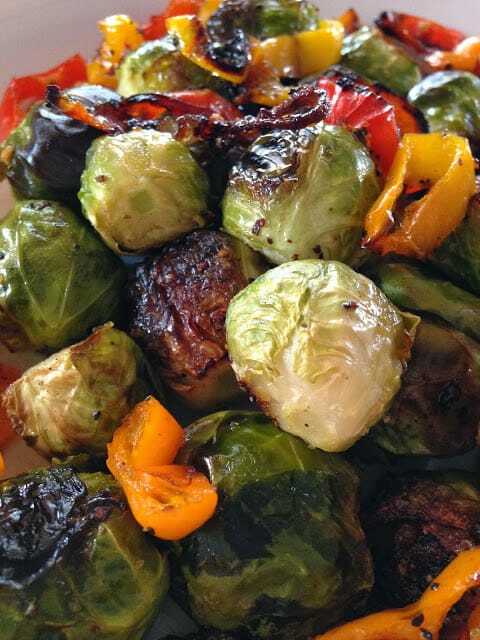 Roasted brussels sprouts are super. They become sweet, caramelized little cabbage gems, that are hard to resist. Brussels sprouts said to have been cultivated in the 16th-century Belgium. Brussels Sprouts are a member of the cabbage family and indeed resemble tiny cabbage heads. Many rows of sprouts grow on a single long stalk. They range from 1/2 to 1 1/2 inches in diameter; the smaller sprouts are more tender. Brussel sprouts are available from late August through March. Buy small bright green sprouts with compact heads. Store unwashed sprouts in an airtight plastic bag in the refrigerator up to 3 days; longer than that and sprouts will develop a strong flavor. Brussels sprouts, a cruciferous vegetable, high in vitamins A and C, and are a fair source of iron. some crispy bacon and Parmesan cheese before serving. So good!! Heat oven to 400º Line a large rimmed baking sheet with foil or parchment paper. Cut the stem end off the Brussels sprouts and remove any loose outer leaves. 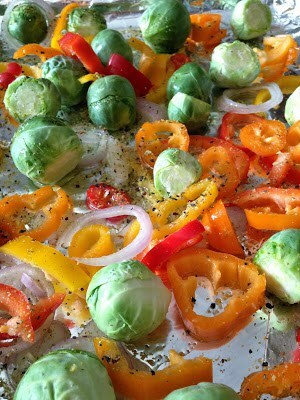 Place Brussels sprouts on baking sheet; add sliced shallots and peppers. Drizzle with olive oil and sprinkle with seasoning blend, toss to coat. Roast 35 to 45 minutes or until veggies are crisp on the outside and tender on the inside. 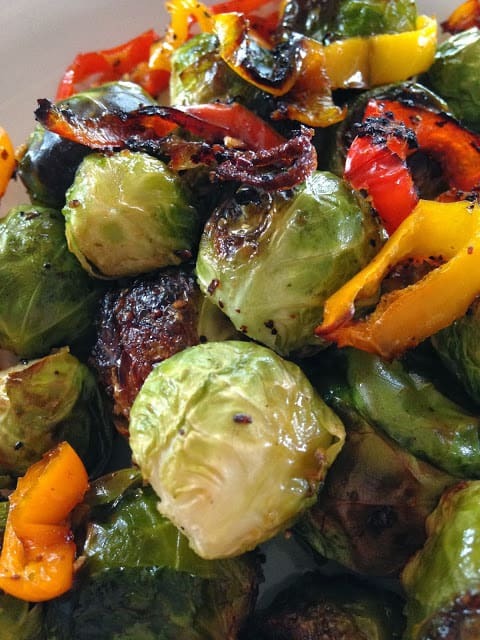 Roasted Baby Carrots and Dijon Balsamic Brussels Sprouts are two fantastic recipes you have got to try! Health Note: Eating at least 3 servings of whole grains daily may help reduce blood cholesterol. Look for the word “whole” to be sure you get the whole grain. Hi Lynn – This looks very good. I am not a brussels sprouts lover, but had some at a friend's house recently that were delicious. So I think I need to give them another try. Thanks for linking up with the Let's Get Real party. 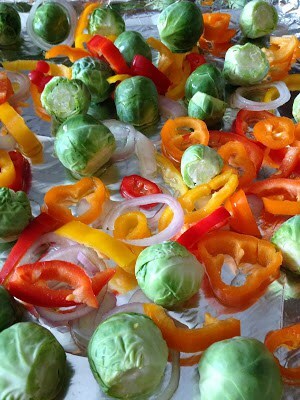 We LOVE Brussel Sprout, and I LOVE using Mrs. Dash. 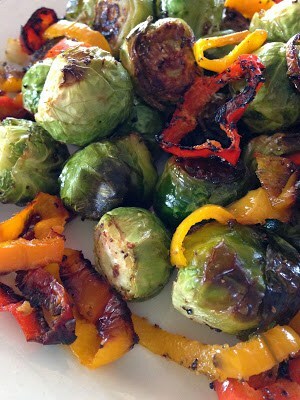 Just bought Brussel Spouts again the other day, maybe I will try roasting them. Thanks Lynn.